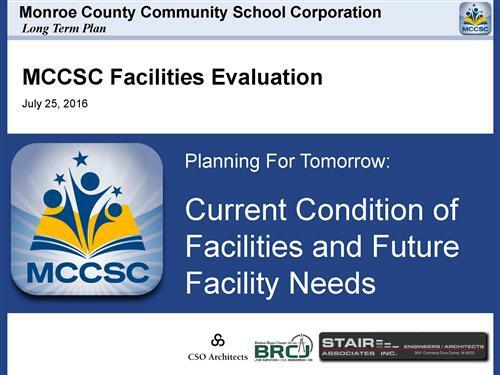 The following assessment is of the Facility, Technology and Safety needs of the Monroe County Community School Corporation. The findings and recommendations are the results of an extensive three-year broad-based community study. The Corporation will begin a long-term bonding process using this strategic plan as the blueprint. The bonds will be issued without an increase to the Corporation’s total tax rate as existing debt matures. This will allow improvements to be made at all Corporation facilities. Assistant Director of Building Ops.